Main Compartment: Two cheese and tomato sauce stuffed crescent rolls with faces and hats! Large Side Compartment: Carrots, dip, and a small container of Billionaire's Shortbread mix from our Graze box! 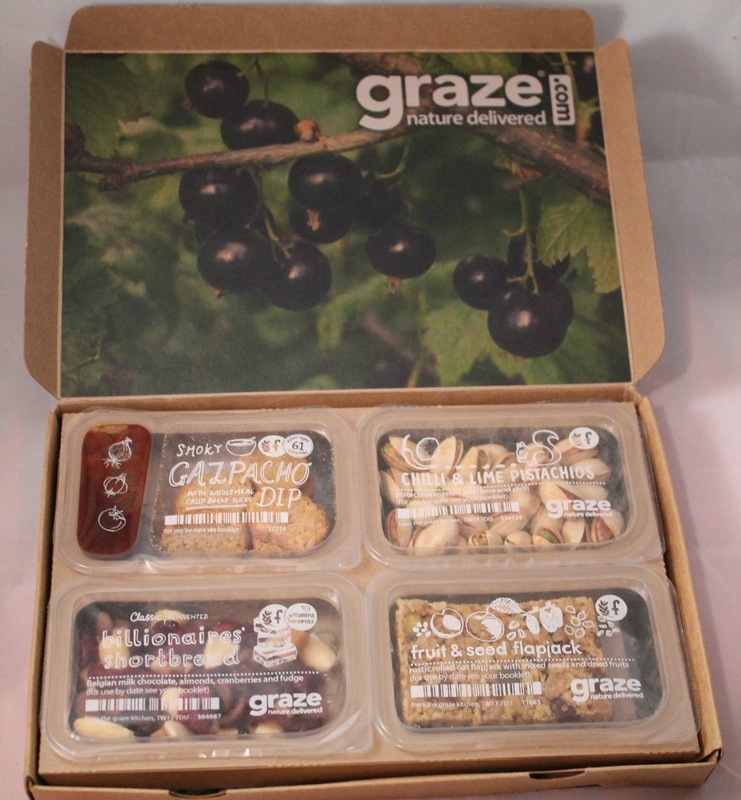 Graze is a new weekly snack box. You get four little snack portions a week for only $5 and no long term commitment. Just pay for each week as long as you like and cancel whenever. You can also tell them what you love and what you didn't care for so that your boxes will be tailored to your tastes! Kidlet and I loved everything in our first box and we even fought over the nut and seed flapjack. So good! Try graze for free! Your first box is free using code 2HK5TX4 and you can feel free to cancel after your first box or keep them coming and get your 5th box free too! YUM! Haha love the smiley pizza pockets! Cute! And cool snack box! Love, love, love this lunch! Super duper cute! 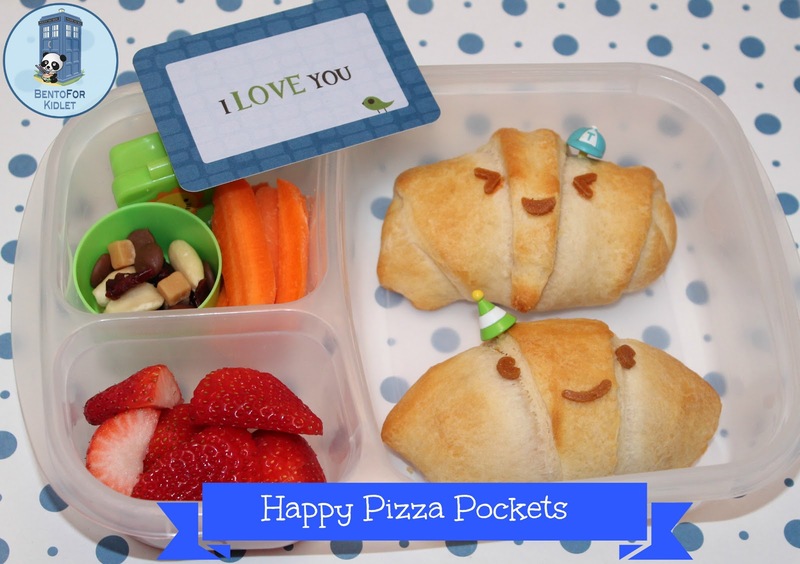 Very nice this bento Happy pizza, dont want to touch just look, so cute. Do you have anymore invitation codes? I just stumbled upon your blog and by now the code has expired. Thanks!